The Carribean is known for its beautiful sandy beaches, the lush tropical climate, and an abundance of delicious fresh fruit. In many ways, Jamaica represents the Caribbean lifestyle, influencing the world’s love for Reggae music made famous by Bob Marley, their adorable Jamaican Patois accent, and of course, Caribbean/Jamaican food. But when it comes to tropical fruit, Jamaica has the corner on the good stuff. Jamaica grows many unique native fruits including mangoes, June Plum, sweetsop, soursop, tamarind, guava, cherries, guinep and many more. Unfortunately, except for mangoes, these exotic fruits are rarely found in grocery stores here in the United States. Luckily, there is enough of a variety of delicious fruits either grown or imported here, that we can still enjoy a healthy mix of options any time of the year. One of the things I enjoyed eating during my stay in Jamaica was their mixed fruit salad splashed with honey and lime juice. 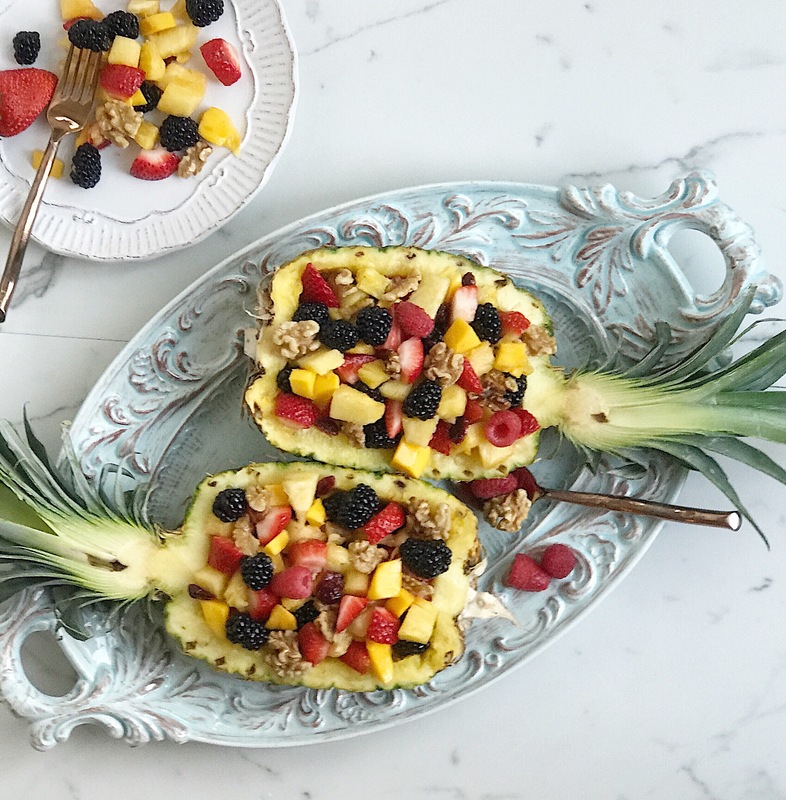 Although I love to eat fruit in its natural state, this recipe was a refreshing departure from the plain fruit most of us usually eat. 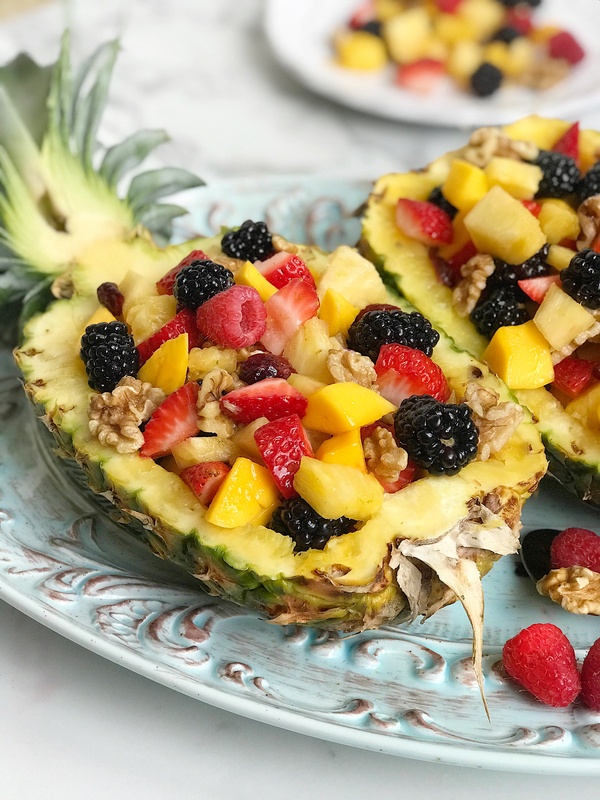 After preparing a large batch of this easy to make fruit bowl, I love using the leftovers (if there are any) in smoothies, yogurt parfait, or over a bowl of oatmeal the next moring for an extra touch of the Carribean in my day. Whislk honey, lime juice, and lime zest in a small bowl. Pour dressing over fruit and toss until fruit is coated. Pour fruit into pineapple shells. Cover and refrigerate until ready to serve.